Metal roofs are a popular roofing option for commercial buildings this season. It is the best suit for industrial and commercial buildings and is sought after for its long life and sturdy construction. Metal roofing requires minimal maintenance when you compare to the other roofing alternatives available in the market. The solid nature of metal makes it an obvious choice for your commercial establishment. If you are considering metal roofing for your commercial building, then this post is a must-read for you. 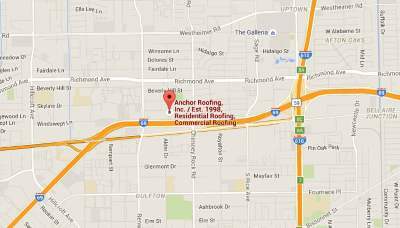 As the leading roofers in Houston Texas, we have listed common commercial metal roof types. The standing seam metal roof is aesthetically pleasing with typically smooth and linear lines. Aside from being an attractive option, it is also very strong and durable. The manufacture of the standing seam ensures a built-in core that has temperature control. It is also flexible in terms of color options and design. What makes this roofing unique is that it has a meticulously mechanical seam. We highly recommend that you hire expert roofing contractors in Houston TX for installing your roof. Similar at first glance to the standing seam, CF Panel roofing does not have a mechanical seam. Instead, the CF Panel has a construction with low profile fastening. It allows you to enjoy it’s appearance without any bulky nobs or bolts out in full view. The CF Panel roof is amenable to different patterns and colors. While it is great to look at, it’s also reliable and safe. The CF panel is low maintenance and popular for being wind and fire resistant with a lifespan of up to 30 years. This is an excellent option for any commercial space. While the AP Panel is yet another roof type that resembles the Standing Seam, you tend to get more bang for your buck. This type of commercial-grade steel roof is a typical installation on residential roofs. It has also become a popular choice for commercial roofs as well. These panels are energy-efficient, durable and are hail, wind, and fire resistant with a life-span of up to 30 years. An all-around win-win with the AP Panel metal roofing. The U-Panel is constitutes of 26 different gauges of commercial grade steel. These are also heavier in contrast with contemporary roofing materials. The U-panel roofing is typically used for installation over the top of shingle metal roofing making it a great option to save time. In addition, the U-panel roof type is also wind, fire, and hail resistant, offers little maintenance and is known for its longevity. The R Panel is known for its easy maintenance, durability and is a great alternative to more costly options. A great feature that it shares with the U-Panel is that it can be retrofit over existing shingles which is a great time-saver. Labor is minimal in comparison to other metal roofing options and in addition, the R-Panel is also wind, fire, and hail resistant. The aforementioned commercial metal roofs are great alternatives to traditional commercial roofs. If you are looking forward to installing, repairing or your existing roofing, feel free to contact us, and we will assist you further. As one of the best roofing companies Houston Texas for roofing issues, we look forward to assisting you.